Statehouse Blend LIVE! Presents "Kansas Government: Right Size, Wrong Size?" 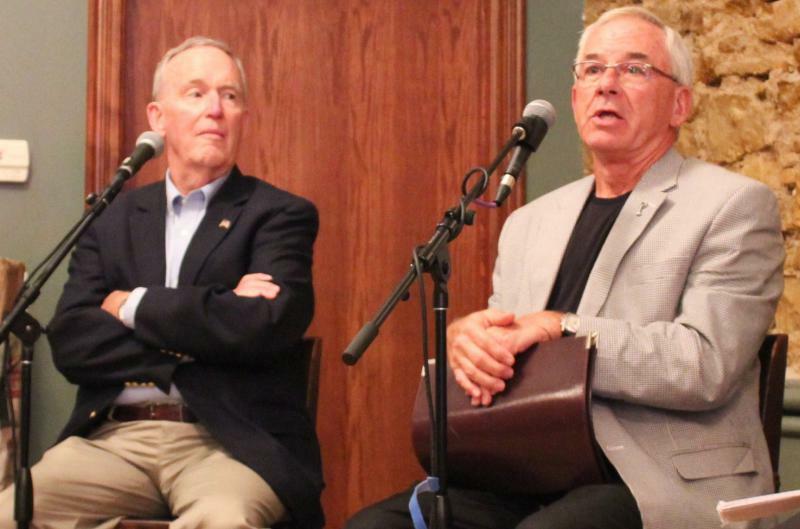 On this week's episode of the Statehouse Blend Kansas podcast, former Democratic Gov. John Carlin and former Republican House Speaker Mike O'Neal discuss their contrasting views on the state of Kansas government. This episode of Statehouse Blend Kansas was recorded live at the Celtic Fox in Topeka, Kan.
On this week's episode of Statehouse Blend, the Director of Johnson County Mental Health talks about the state of mental healthcare in Kansas.